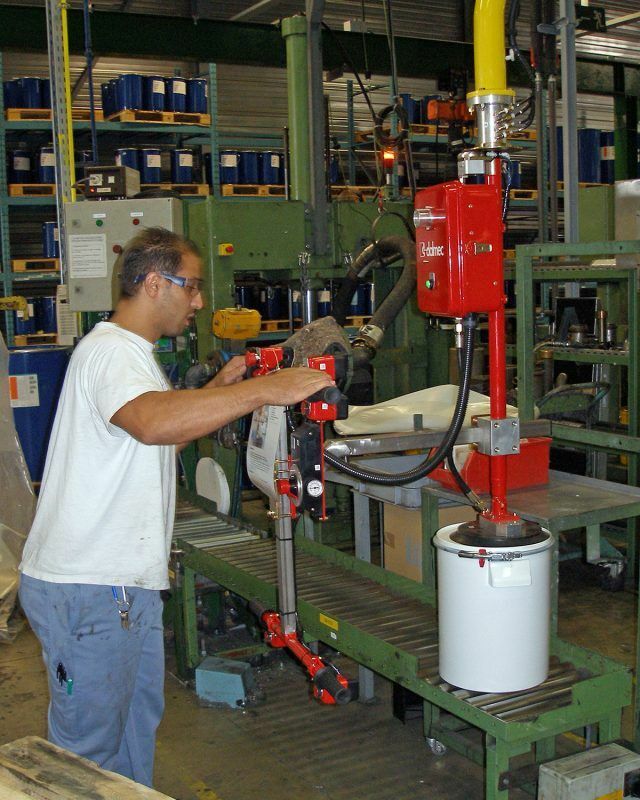 MIC type Micropartner manipulator, low profile model, fitted with suction cups head (Venturi) for gripping and handling pails. Easy to use, Dalmec Manipulators are equipped with toolings to allow the operator to move pails of all kinds throughout the working area quickly, accurately and safely. Dalmec Manipulators for pails are custom-built, with specially adapted design, dimensions and picking systems to suit the specific requirements of the users and the various environmental conditions available. 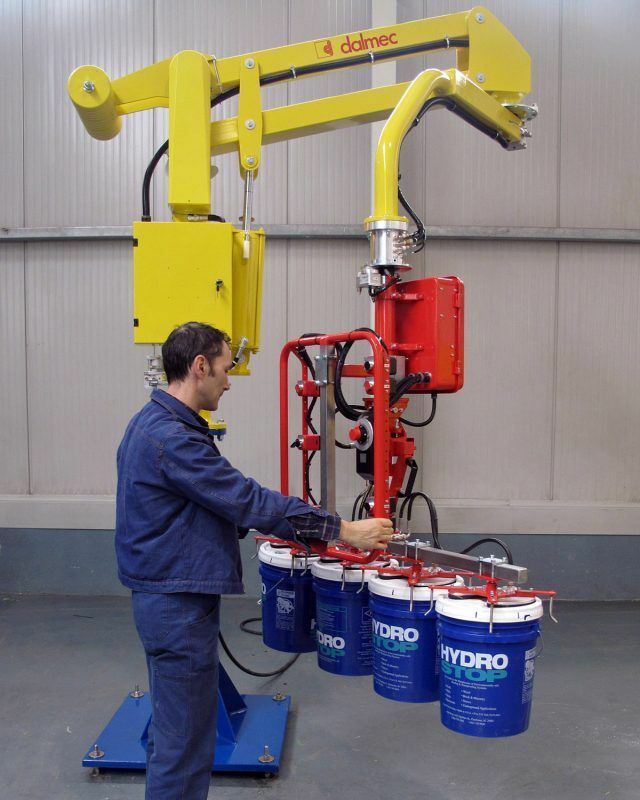 MIC type Micropartner manipulator, column mounted version, fitted with suction head (Venturi) for gripping and handling pails of different shapes and weights. Interchangeable grippers are available for handling different sizes of pails. Each balancer is a guarantee, from the functioning and the safety point of view.